Laugh Gags: Cruise to the memory of the "Titanic"
Cruise to the memory of the "Titanic"
Passengers and the descendants of those who are exactly a century ago boarded the legendary "Titanic" went on a cruise to the memorial site of the tragic collision of a giant ship with the iceberg. 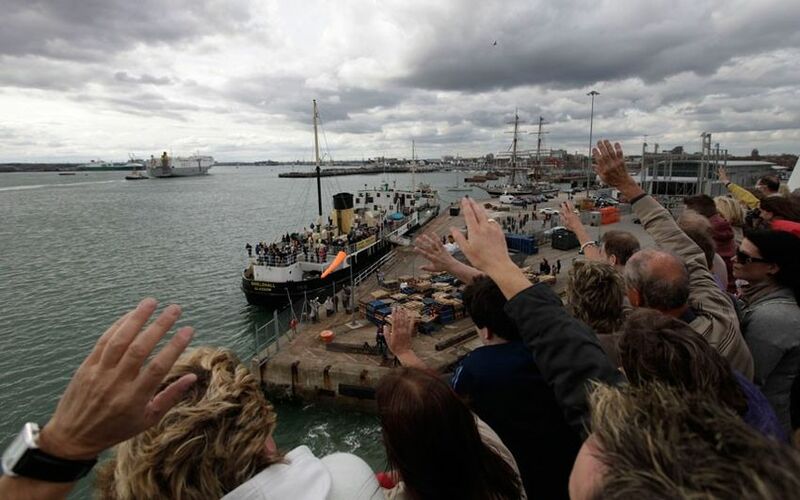 Liner "Balmoral" was released from the port of Southampton. 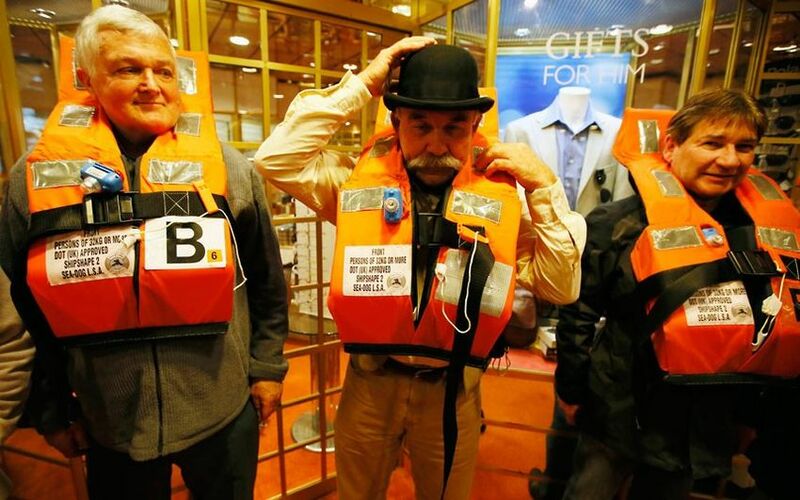 He goes on a journey that lasts 12 days and whose purpose - to honor the memory of people who a hundred years ago, lost their lives in the disaster of "Titanic." On board the ship 'Balmoral' is the same number of passengers - in 1309, not including members of the crew - and that a century ago, on board the "Titanic." About fifty people from the passenger liner "Balmoral" are direct descendants of the passengers of "Titanic." 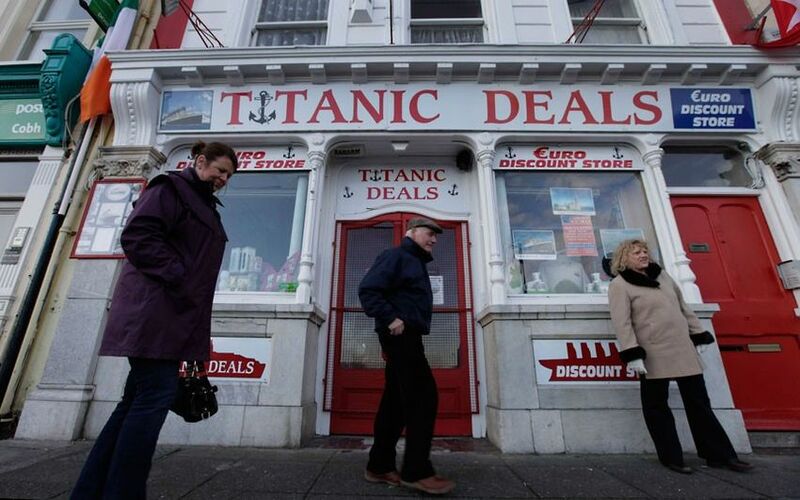 At the hour of death "Titanic" on board "Balmoral" will be a memorial funeral service. The initiators of the voyage ship "Balmoral" want in the slightest details recreate a single flight of "Titanic" a hundred years ago. 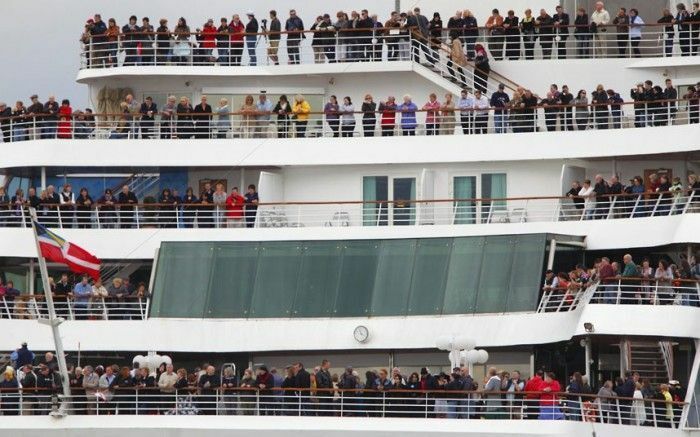 Liner "Balmoral" came from the same port that once the "Titanic." 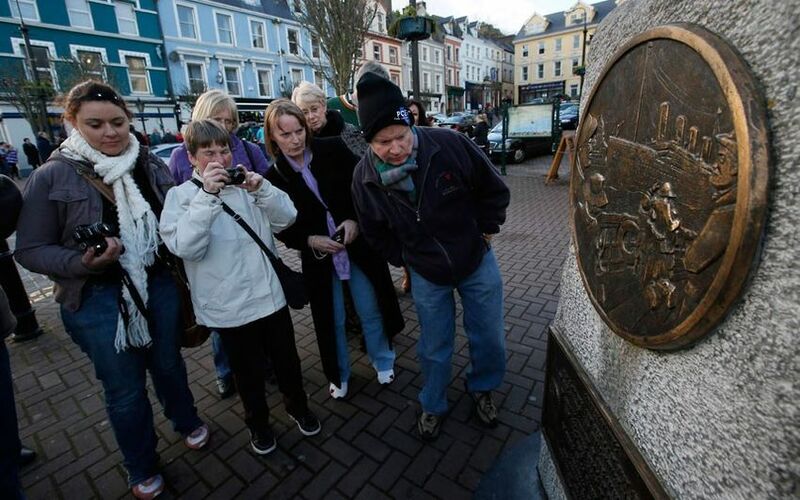 Tickets ranged from 2799 to 5995 pounds. The only difference is that the ship "Balmoral" had to leave the port for two days earlier than a century ago the "Titanic" - because, though it is absolutely amazing, built a hundred years ago, "Titanic" had a higher rate and was able to cross the the ocean faster, "Balmoral". As a result, "Balmoral" sail two days ahead of departure, "the Titanic to arrive in time to the place of his death. 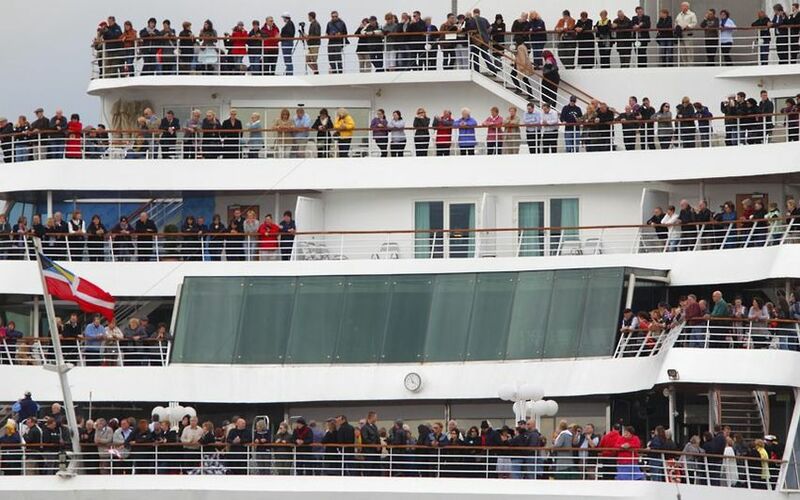 Passengers arriving from twenty-eight countries around the world, pre-booked seats on board the ship "Balmoral". 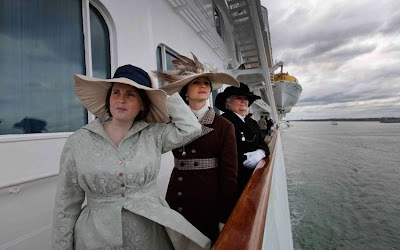 Many of them arrived at the port of departure - Southampton - in suits, reproducing the traditional attire of the era, which were dressed passengers of "Titanic" from first-class cabins. Of course, the main hope of the organizers of the memorial cruise is hoped that the "Balmoral" to arrive at the port of destination - New York - unlike his ill-fated predecessors. 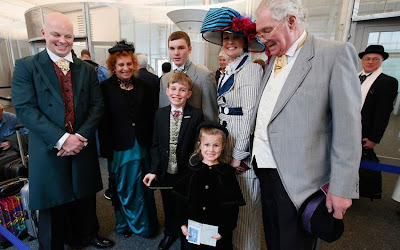 Three generations of the family Free from London and Manchester - Graham, Marilyn, David, Ethan Rose, Jackie and Stan - arrived in Southampton. 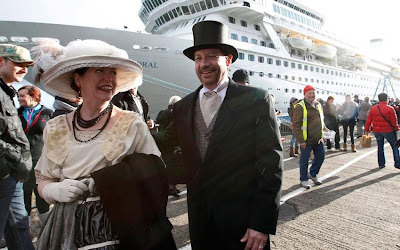 Historical costumes are preparing to board the ship "Balmoral", starting out in the memorial cruise in memory of the catastrophe of "Titanic", which occurred a century ago. 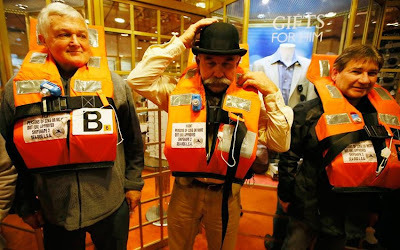 John Philip of the South Coast, New South Wales, Australia, wearing a bowler hat in the fashion of the early twentieth century and a life jacket on board the ship "Balmoral", starting out in the memorial cruise in memory of the catastrophe of "Titanic", which occurred a century ago. Passengers who are prepared to go to the memorial cruise in memory of the catastrophe of "Titanic", which occurred a century ago, during a tour of the memorial complex "Titanic" in Kobe, Ireland. 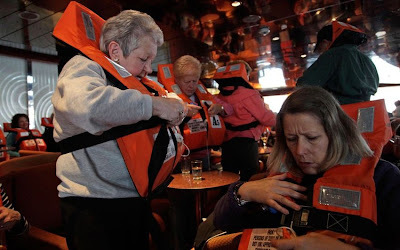 The passengers don lifejackets in the study during the evacuation on board the ship "Balmoral", starting out in the memorial cruise in memory of the catastrophe of "Titanic", which occurred a century ago. 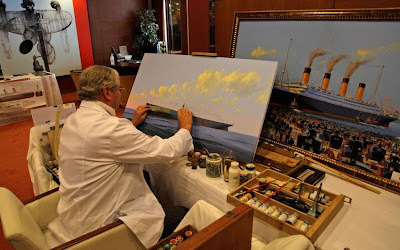 Marine painter James Allen Flood of Del Ray Beach, Florida, is working on a painting depicting the arrival of a hypothetical "Titanic" in New York. Mary Betty Crocker in historical costume, outfit reproducing the early twentieth century, poses for a photo. 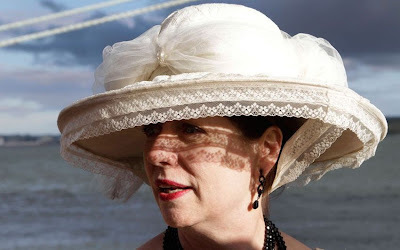 In a memorial cruise on board the ship "Balmoral", she went with her husband. 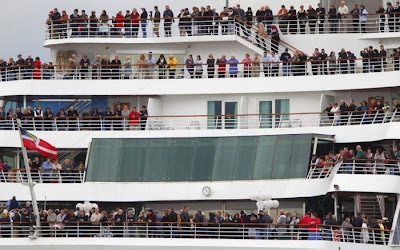 Passengers waving mourners on board the cruise liner "Balmoral", which left the port of Southampton, went to the memorial cruise in memory of "Titanic." 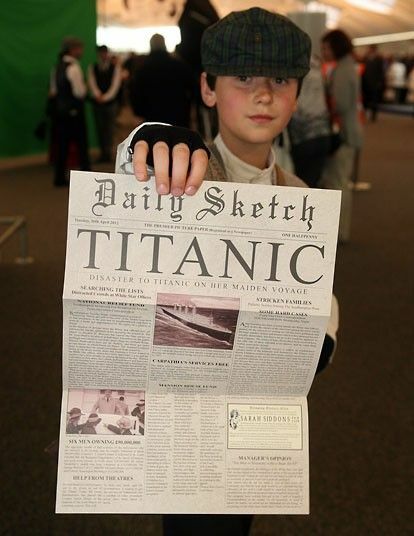 A boy poses with a souvenir issue of the newspaper devoted to the "Titanic" in Southampton. 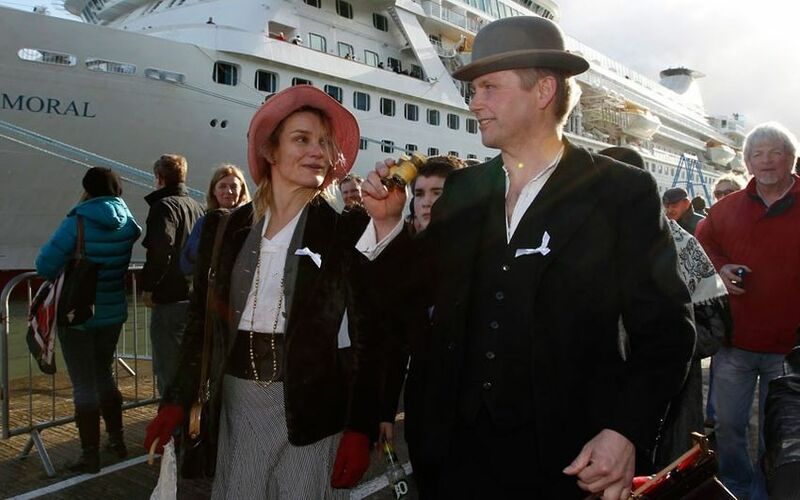 Tormod Gaazbakk and Anna Isabella Adbay from Trondheim, Norway, arrived in Cobh, Ireland. 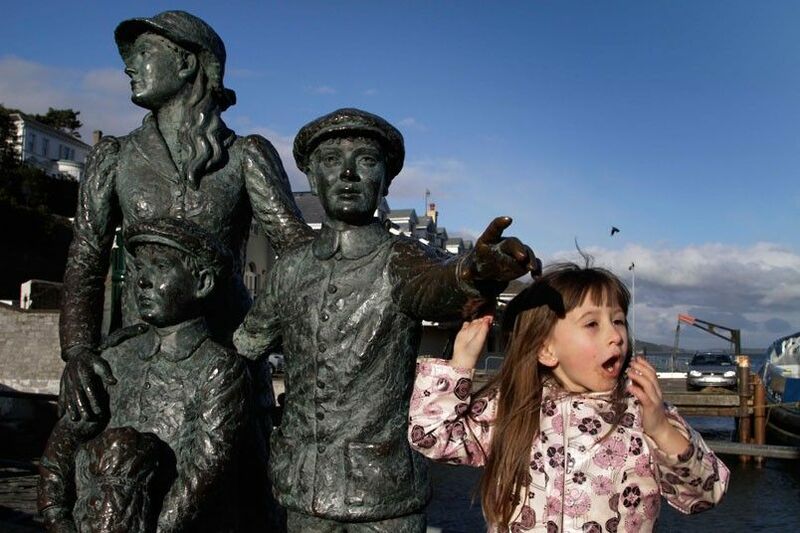 It is in Kobe, Ireland, the first stop scheduled liner "Balmoral". 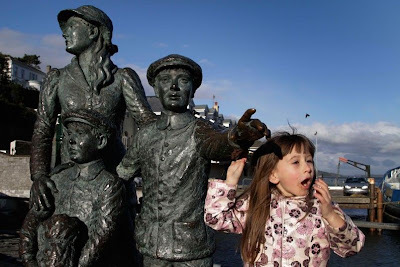 The girl at the pier in Kobe, Ireland, near the monument to emigrants. 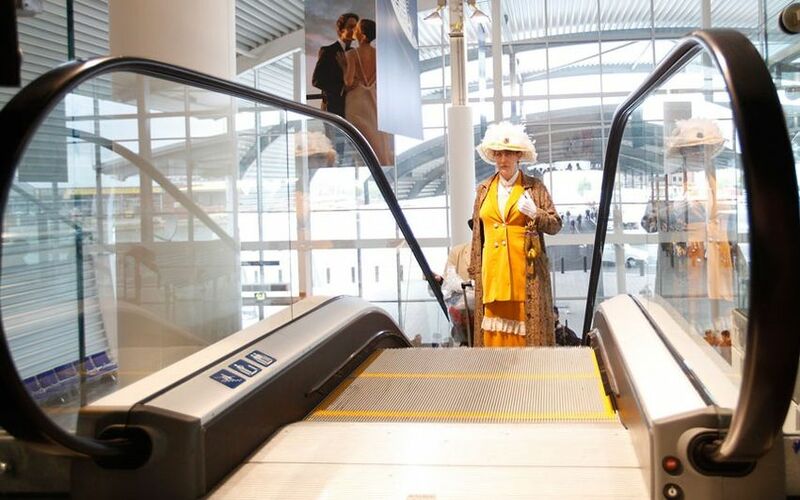 In Kobe, the first stop scheduled liner "Balmoral".